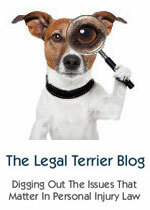 After spending much of last week reading law blogs for the UK Blawg Review I am writing (Sorry it is late – but I have been rather ill of late) I was fascinated by the extraordinary “NightJack” outing in the Times dissected with precision by lawyer, blogger and journalist David Allen Green – a remarkable piece of writing. The story of how, in a string of managerial and legal lapses, the Times hacked NightJack and effectively misled the High Court. The award-winning “NightJack” blogger was outed in 2009 by the Times of London. At the time the newspaper maintained that its controversial publication of a blogger’s real identity was based on brilliant detective work by a young staff journalist. However, it is now clear that the blogger’s identity was established by unethical and seemingly unlawful hacking of the blogger’s private email account. If the hack was not bad enough, the Leveson Inquiry has also heard how the newspaper in effect misled the High Court about it when the blogger sought an urgent injunction against his forced identification. The blogger lost that critical privacy case and it is possible that the case could have been decided differently if the Times had disclosed the hack to the court. The following is a narrative of what happened. It reveals a depressing sequence of failures at the “newspaper of record”. Most of the sources for this post are set out on the resource page at my Jack of Kent……..
Over 30 million people in the UK now use Facebook as a way of sharing their lives with friends. But as our attitude towards social networking relaxes, it’s easy to forget the comments we post can have serious consequences. Recent cases have highlighted how careful employees need to be when using social media – at home, and at work. If you make offensive or negative comments you risk your employer’s reputation and can jeopardise your own position. The recent case of Preece v JD Wetherspoon demonstrates that employees put their positions at risk if they use social media to vent their frustrations at work. In this case an employment tribunal decided that a pub manager was fairly dismissed for gross misconduct after she used Facebook during working time to make inappropriate comments about two customers. Even though the customers had threatened to abuse her, the tribunal maintained that her comments did not reflect her anger or upset at the customers, but seemed more like a joke between friends. It didn’t matter that she thought her privacy settings meant only close friends could see her messages – in fact a wider group could see her Facebook page. The tribunal found her comments were in the public domain and therefore risked damaging her employer’s reputation. However, it’s not just comments made in work time that can lead to dismissal. In Gosden v Lifeline Products Ltd an employee was found to have been fairly dismissed for sending a racist and offensive chain email from his home computer to the home computer of a colleague who worked for one of his employer’s largest clients. The offensive email then entered the client’s email system. The tribunal concluded that the employer’s reputation with a significant client had been damaged and the dismissal for gross misconduct was upheld. On the flip side, not every negative comment made by an employee on social media justifies a dismissal. In the case of Whitham v Club a tribunal concluded that an employee had been unfairly dismissed for making derogatory comments about her workplace on Facebook. The comments were seen as ‘relatively minor’, and the employer’s reputation with a key client had not been damaged as a result. Everyone has the occasional gripe with work. However, instead of going online, talk through your problems with family – or raise a grievance with a manager. But, if you do find yourself being disciplined in these circumstances, then seek professional legal representation. Stephens Scown Solicitors in Exeter, Truro and St Austell are one of the largest law firms in Devon and Cornwall offering personal, business and specialist legal advice. Stephens Scown are also the proven specialists for family solicitors Exeter. Guest Post – Drug Driving; the legally intoxicated elephant in the room! Drug Driving; the legally intoxicated elephant in the room! For many a year, successive Governments have been trying to find a suitable way to deter people from ‘drug driving’. With a rising number of ‘legal highs’ available and mounting concern regarding the abuse of prescription drugs this ‘problem’ is now ranking high up on the Government’s agenda. The Justice Bill, which has specific clauses dealing with this issue, will be touched upon in the Queen’s Speech next month. Police station and roadside drug testing equipment will follow hot on the heels of this announcement. It now appears that the Government is paying heed to some of Sir North’s recommendations. The Police have the power to arrest someone on suspicion of drug driving even if the drugs they have taken are legal. The law defines a ‘drug’ as being ‘any intoxicant other than alcohol’. Basically, if a person has taken a substance which is neither a drink nor food and it is alleged to have affected the control of their body, this could be classed as a drug. In my opinion the current legislation is perfectly adequate when dealing with cases involving so called ‘legal highs’ and all other types of ‘drug driving’ cases. Some may argue that the current ‘Field Impairment Test’ (FIT) is too onerous to administer, which is the real reason why the number of arrests for drug driving is relatively low in comparison to the number of arrests for drink driving. In respect of roadside screening, Section 6c of The Railways and Transport Safety Act 2003 (as found under Schedule 7 of the act) provides the Police with the power to administer a roadside drug screening test. Once the technology is available it is possible that the FIT may become obsolete. At the moment, unlike drink driving there is no definitive legal drug driving limit. ‘Zero Tolerance’ has been mooted as it appears to work effectively in countries such as Australia, although it has appeared to have had less effect in Sweden with regards to deterring re -offenders. An obvious problem in implementing ‘Zero Tolerance’ would be with regards to legal drugs. If I take two Paracetamols for a headache does this mean that I am unfit to drive? Murmurings emanating from Whitehall suggest that a legal ‘drug limit’ will be adopted. By introducing a legal ‘drug limit’ the Government is essentially trying to do away with the requirement for the police to demonstrate ‘impairment’. In order for this to work any ‘drug limit’ would have to correspond with the likely limit that would be exceeded following recent drug use.There is no point testing for a drug which someone might or might not have taken several days or weeks ago. This is unlikely to have any impact on their driving and to be prosecuted on the basis of ‘historic’ drug abuse would be inherently unfair. With so many drugs available – both illegally and legally – will the technology that is to be relied upon be able to detect every class of drug? New procedures dictating drug testing, no doubt similar to existing drink drive procedures, will need to be adopted. This will invariably lead to procedural challenges. The reliability of drug testing equipment will be called into question as will analytical methods, should the results of a blood or urine procedure be relied upon. I sense that the Government may be about to create a tidal wave of opportunities to motoring lawyers like myself with regards to technical legal and scientific challenges in drug driving cases. A guest law review, from Michael Hardarce Partner at Pannone LLP. Every six months or so, I lecture to anyone who’s interested on the timeworn subject of the reforms to civil litigation costs arising from the report of Lord Justice Jackson, originally published in early 2010. I find myself approaching the six month mark again and in collating all the news I take the opportunity to share my views with you all. I won’t bore you with the detail, because frankly it changes every five minutes, but the overall themes remain the same. On a personal level, it’s a sore point as a personal injury solicitor and Partner at Pannone for the last 15 years, that personal injury law has been in the frontline of changes to law and procedure for the whole of that time. In my view, that boils down to the fact that in most cases, the paying party is an insurer and insurers really don’t like paying anyone. They can just about bring themselves to pay deserving, injured claimants, but they really don’t like paying their solicitors. I’m not passing any judgment on that, after all they are commercial organisations with their eye fixed on the bottom line, but it does underline why personal injury litigation is always in the spotlight. You can easily trace where we are now back to the late 1990’s firstly with the Woolf reforms and then the subsequent removal of legal aid for personal injury claims, accompanied by the recoverability of success fees and after the event insurance premiums from the paying party. Add into the mix the legalisation of referral fees in 2002 and you had a coincidence of events which resulted in a transformation of the volume end of the personal injury marketplace. In came claims management companies, the larger ones advertising on TV, much to the distaste of the middle classes (many of them lawyers) who didn’t like access to justice being taken quite so literally and the smaller CMCs, perhaps being less circumspect, but overall presenting a quick and easy route to compensation for all. Add to that insurers realising the value of the “product”, namely the injured policyholder and selling their details onto their panels of solicitors, we are now in a situation which nobody could possibly have foreseen. Personal injury claims, even straightforward whiplash claims, are being sold for sums approaching four figures to RTA “factories”, whose economies of scale can squeeze a profit from even the tiniest of margins from the fixed costs available. Many people have described the current position at the volume end of the RTA market as dysfunctional and I can’t disagree with that. Everyone, on both sides of the fence, have to acknowledge their role in creating that situation. What it has certainly done is create an easy target for insurers to take aim at. Going back to Jackson, he was adamant in his report that his wide-ranging recommendations should be implemented as a whole and not on a piecemeal basis. That was met with a healthy degree of scepticism, but surprisingly it looks now as though that will largely happen. The insurers, through a well-coordinated PR campaign and a fortuitous change of government, have the wind in their sails and it’s clear now that we have a timescale for implementation that will see a whole raft of major changes implemented by April 2013, continuing on through next year. While the detail of these changes has yet to be sorted out, these will include banning referral fees (in itself an incredibly problematic task given the different shapes and forms they can take), ending recoverability of success fees and insurance premiums from the paying party, introducing one way costs shifting, allowing contingency fee arrangements and (one for the claimants at last), increasing general damages by 10%. There is also the very real prospect of the costs available to claimant solicitors in low value RTA cases being substantially reduced by the end of next year along with fixed costs across the fast track for most types of personal injury. Ultimately, the stated aim of the insurers is to drive cost out of the personal injury market. For them, the referral fee ban is a sideshow. If they can reduce solicitor’s costs, then there is less value in the “product” and no profit to be made from selling personal injury claims. It’s clear that if these changes are implemented as expected, they will achieve their objective. Where will that leave us in two years time? The marketplace will have changed and I believe the overall volume of personal injury claims will reduce, particularly amongst the least sophisticated consumers whose route to compensation over the last few years has been through small claims management companies, who won’t be around, at least not in their current form. Hopefully, we will have a clear view ahead and some peace and quiet to get on with our jobs, representing injured claimants and earning a reasonable living. Still writing UKBlawg Review… but something twitter oriented for Easter…. Posted this some time ago… but seems appropriate this Easter weekend…. Oxford & Cambridge Boat Race: That farkin swimmer was an amateur…. Been a bit indisposed of late… but writing UK Blawg Review 10… for late Easter Monday/Tuesday … so… still in the game.